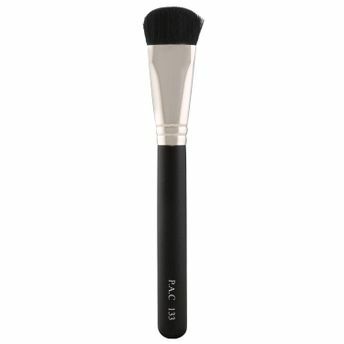 PAC Contour Brush 133 brush is specially crafted with natural hair for contouring purposes. This contour brush adds in definition to the contouring areas such as cheekbones, nose and jaw line. Its bristles seamlessly blend in both cream as well as powder products to give you a well defined look. Adds definition to your look. Helps in creating a flawless look.